How do I become a Ladies Gaelic Football Referee? 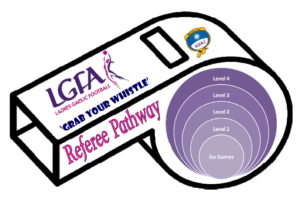 If you wish to become a Ladies Gaelic Football Referee and you have no refereeing experience you can complete our ‘Grab Your Whistle’ Go Games or a ‘Grab Your Whistle’ Level 1 course. These courses are aimed at new referees and will provide the basics of refereeing to allow the referee to begin officating underage games within their County. The best method to progress through the Referee Pathway is based on experience and continuous attendance at Referee Seminars and Workshops. How do I become a Provincial Referee? 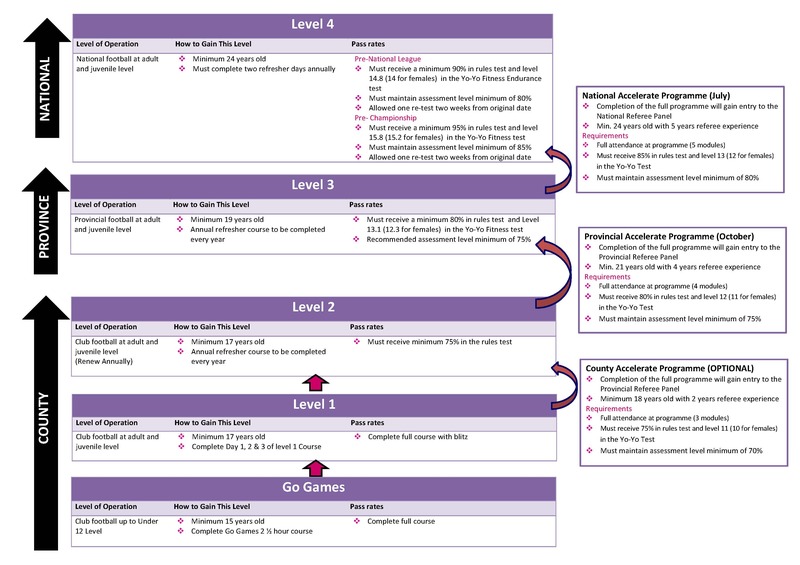 If your county is confident of your ability to referee at a higher level they can nominate you to your Province to officate in Provincial competitions through the Provincial Accelerate Programme or if you feel you are capable of reaching the required standards outlined in the pathway below you may apply for this programme. How do I become a National Referee? By gaining experience at Inter-County games within your Province, you can be nominated by your Province to become a National referee and gain entry through full completion of the National Acceleration Programme. You may also apply for this programme if you are currently refereeing at provincial level and feel you can reach the required National standards. As a National Referee you will be required to attend National Seminars and ongoing training workshops. 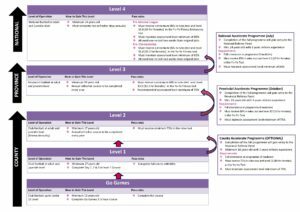 What does each Level entail?